Google’s AI Learns How To Code Machine Learning Software — Bad News For Programmers? The surprise is, when the software as compared with the code written by humans, it surpassed their result. As reported by MIT Tech Reviews, Jeff Dean, leader of Google Brain research group, such efforts can increase the pace of the implementation of machine-learning software in various fields of economy. It should also be noted that companies pay premium salaries to machine learning experts – experts which are short of supply. In their experiment, the researchers challenged their software to create machine learning systems. They say that such systems are currently “learning to learn.” They could also reduce the need for vast amounts of data used by machine learning software to give good results. Using their software, the Google Brain team created learning systems for different kinds of related problems. The system showed an ability to generalize and picks new tasks. To do so, the researchers used 800 high-powered GPUs. To achieve this researchers used 800 high-powered GPUs. Google Brain team, using their software created learning systems for different kinds of related problems and The System has shown ability to generalize and pick new tasks. To achieve this researcher used 800 high-powered GPUs. Nokia 6 Sold Out In Just One Minute! As we reported Nokia received 250,000 pre-orders before the launch date which later on turned to 1 million in very less time. Nokia 6 has been launch in China and only made available in the Chinese market on JD.com. Nokia 6 – the budget smartphone is already a sensation. We are well aware of sold out at flash sales in China from manufacturers like Xiaomi, but now HMD Global has added its name to the list. You will also be surprised to know that it only took one minute to sell out all available units of Nokia 6 in the first flash sale. The first flash sale of Nokia 6 was held on Thursday and was declared sold out in 1 minute. Nokia 6 is being sold in the Chinese market for 1,699 Yuan ($245 | 25,999 PKR). Nokia 6 features 5.5 inches full HD display along with Qualcomm Snapdragon 430 chipset coupled with 4GB RAM and 64GB internal storage. It has 16MP back camera and 8MP front camera which supports wide-angle selfies. We don’t know exactly how much stock HMD had in the flash sale, but one thing is sure that the second flash sale will have higher units if the performance of the first sale is anything to go by. The second flash sale is expected to occur in upcoming days. Samsung Electronics on Monday announced that it has developed new quality assurance protocols to ensure that it won’t have a repeat of the catastrophic issues that plagued its Galaxy Note7 handsets. The company last fall issued a universal recall after several of the devices caught fire or exploded. In one incident, a Southwest Airlines flight had to be evacuated in Louisville, Kentucky, after a Samsung Galaxy Note7 caught fire and produced thick smoke on an aircraft. Samsung initially blamed the problem on an “isolated” faulty battery cell issue, before opting to issue a general recall of the device. Samsung has reaffirmed that the design and production of the batteries caused the problems — not the hardware or software — but the company has acknowledged that it should have done more to ensure that the batteries could not overheat and cause fires. It has enlisted a group of external advisors to provide clear and objective perspectives on battery safety and innovation. Samsung unveiled its new “8-Point Battery Safety Check,” which is meant to address any potential problems. It encompasses a durability test, visual inspection, X-ray test, disassembling test and OCT test, as well as a charge and discharge test, TVOC test and accelerated usage test. “Samsung is doing the right thing. It took its time, but eventually it got enough instances of failed batteries in the lab to figure out what the technical issue was,” said Roger Kay, principal analyst at Endpoint Technologies Associates. 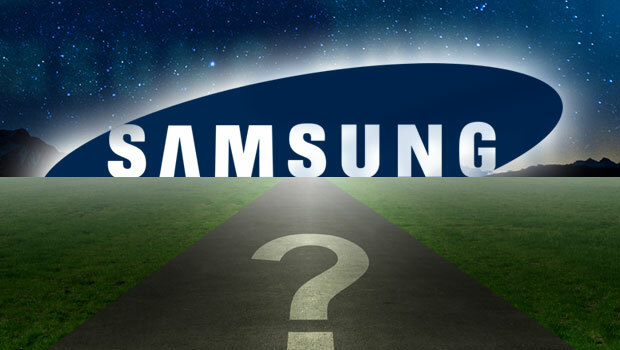 “At the same time, Samsung has been relatively forthcoming about the results and taking responsibility,” he told TechNewsWorld. “The first thing Samsung had to do was make it clear that it understood the core of the Note7 fire, and it had to ensure that it won’t happen again,” noted Ian Fogg, senior director for mobile and telecoms at IHS Markit.